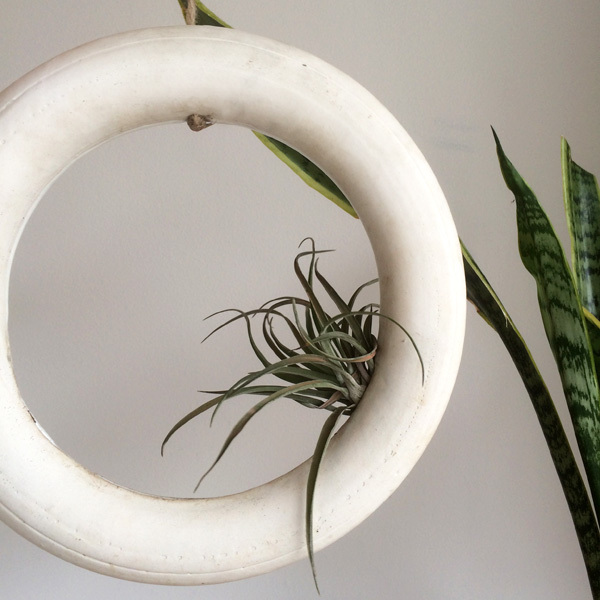 Make a minimal statement in your home with this minimalist ring planter. 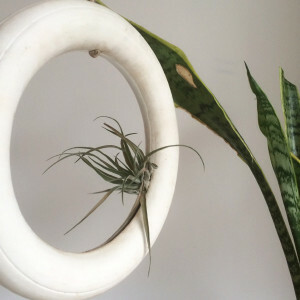 Roughly ten inches in diameter, there is a quarter inch opening that sits on the bottom half of the ring. This is great for airplants or a cover plant such as sedum which naturally grows well between rock walls. The planter is strung up with about three feet of adjustable twine. 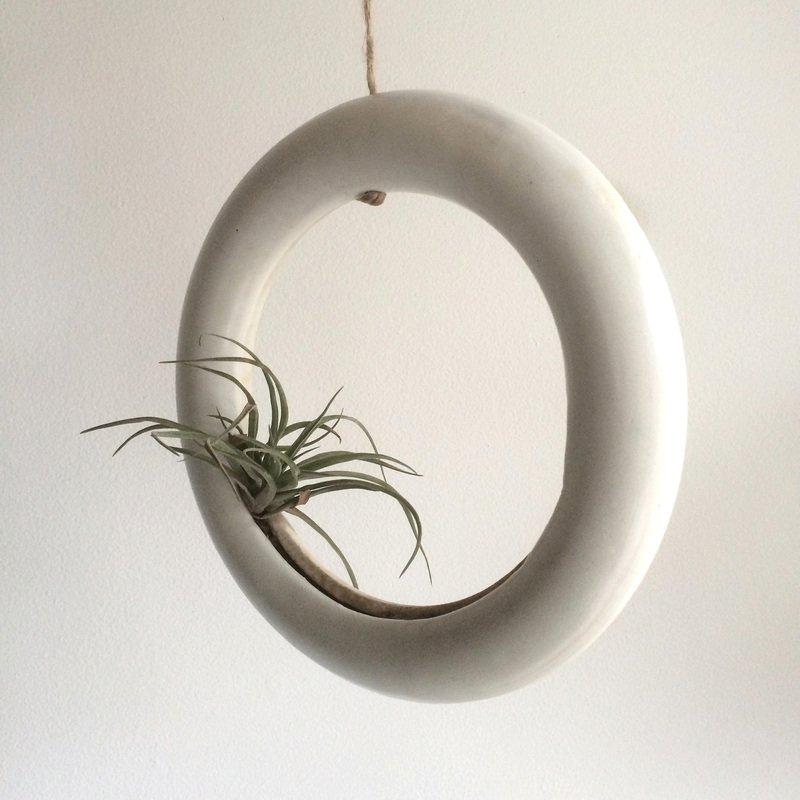 This planter is made from high fire stoneware, one side is glazed in a highgloss white and the other is raw porcelain slip (matte white).